Additionally, the company claims Clarisonic Mia cleanses 6x better than manual washing and prepares the skin to absorb creams, serums, and moisturizers more effectively, all in under 60 seconds. 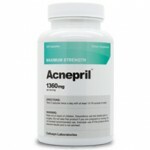 I decided to do some research to determine if this product works. What Does the Clarisonic Mia Cleansing System Include? A Clarisonic Mia kit comes with 4 components including the Clarisonic Mia brush, a universal voltage charger, a sensitive brush head, and 1 oz. trial size Refreshing Gel Cleanser. Prior to first time use, the manufacturer recommends charging the Clarisonic Mia handle for 24 hours. There are important steps to follow to for optimal use. 1. Remove any eye and face makeup before use. Removing makeup eliminates bristle discoloration on the brush head. If the bristle does become stained, simply clean the brush head with soap and water. 2. Wet skin and the brush head with warm water. 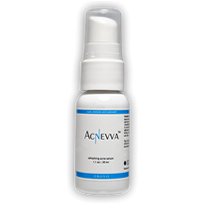 Warm water opens pores allowing skin to be more susceptible to cleansing agents. 3. Apply cleanser to skin or brush head. Rough exfoliating particles like shells are not recommended with Clarisonic Mia. Use only soft, rounded exfoliating agents. 4. Turn on the brush and gently move the brush using small, circular motions. The user manual suggests spending 20 seconds on the forehead, 10 seconds on each cheek, and 20 seconds on the nose/chin area. The Clarisonic Mia brush will turn off after 60 seconds. After 20 minutes of use, the handle needs to be charged. A flashing LED light indicates low battery. Allow for around 18 hours for a full charge. Additionally, Clarisonic recommends starting with a Clarisonic cleanse and warns against sharing brush heads. The handle and the charger do not contain serviceable parts. There are some useful tips to taking care of your Clarisonic Mia kit. Clean handle once a week by removing brush head. Wash the handle with warm soapy water to remove residue buildup. To clean the charger, do not immerse the charger in water. Simply wipe with a soft, damp cloth. Brush heads should be replaced every 3 months. Bristle strength becomes weak and less effective over time. Additionally, brush heads should also be cleaned once a week by removing the brush head from the handle and rinsing to remove residue. To remove the brush head, simply push and twist the brush head counter-clockwise. Clarisonic Mia comes with the option of 12 different colors, ranging from black to mango-colored devices. There are also 6 different brush heads available for purchase. The “Sensitive Brush Head” is the standard brush head that comes with Clarisonic Mia cleansing kit purchase. Additional brush heads include normal, delicate, deep pore, acne cleansing, and body. Clarisonic.com offers a brush head deal. “Get 2 brush heads for $40 (a $50 value). Clarisonic offers a 90-day money-back guarantee as well as a 1-year limited warranty. For warranty service information or to make a return, call Clarisonic Customer Service at 888-525-2747. Clarisonic Mia user reviews are mixed. This could be because consumers used several different acne cleansing gels, as Clarisonic Mia may be used with a variety of acne washes. Since this is an important factor, I found user reviews that focused on the cleansing kit’s function. Out of 726 reviews on Amazon.com, Clarisonic Mia received a 4 out of 5 star average customer rating. That is pretty impressive. “I love the fact that the waterproof Mia goes into the shower, and I can have a luxurious facial spa treatment while my hair conditioner works. It’s such a nice feeling that it’s almost disappointing when the unit automatically goes off after 1 minute,” says Flossygirl. One user under the handle Californian says although it takes a relatively long time to charge, Clarisonic’s magnetic charger is great and works impressively well. 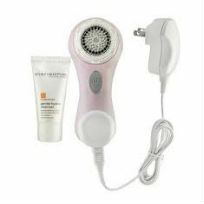 Lastly, Nick Nicholson reviews the skin cleansing system and says Clarisonic Mia’s portability is outstanding. A 1 oz. trial-size Refreshing Gel Cleanser comes with the purchase of the Clarisonic Mia. Refreshing Gel Cleanser contains several ingredients. Some ingredients include sodium lauryl sulfate, glycerin, and cocamidopropyl betaine. Clarisonic Mia is manufactured by Pacific Bioscience Laboratories, Inc. Established in 2001, Pacific Bioscience Laboratories Inc. (PBL) is a leading innovator in sonic cleansing systems with other successful products like the popular Sonicare toothbrush. Pacific Bioscience Laboratories products are distributed through dermatologists, cosmetic surgeons, spas, and well-known beauty retailers like Sephora, Nordstrom, and Saks Fifth Avenue. On November 9, 2011, a leading beauty company L’Oreal USA and Pacific Bioscience Laboratories, Inc. announced a signed merger agreement between the two companies and began operating as a L’Oreal subsidiary on December 15, 2011. Pacific Bioscience Laboratories Inc. is an accredited business by the Better Business Bureau, receiving an A rating. Clarisonic Mia may be purchased for $119.00 through several websites: Clarisonic.com, Sephora.com, Nordstrom.com, SaksFifthAvenue.com. Clarisonic Mia’s favorable reception is exciting. The fact it is waterproof and can be used in the shower is alluring to many, and its portability is just as impressive. I recommend Clarisonic Mia to anyone interested. But, choosing Clarisonic Mia is only half the battle. 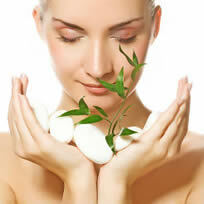 Finding an effective face cleanser for your personal needs seems to be the most difficult task. Clarisonic Mia will make the face-washing process more effective and easier.